Canadian Nationalist Front: Nelson Mandela, The Death Of A Terrorist and Promoter Of White Genocide! Finally! 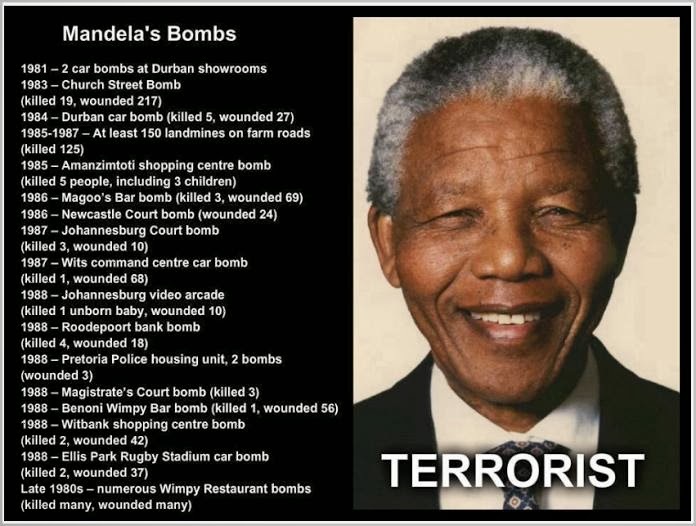 Nelson Mandela, The Death Of A Terrorist and Promoter Of White Genocide! Finally! Convicted South African Terrorist Nelson Mandela is finally dead! Hip Hip Hooray! Mandela responsible for 560 terrorist attacks on whites and white women and children in South Africa and the later facilitation of the white genocide of 70 000 or more finally bit the dust! Enough said.